an anti-semitic poster published by the yugoslav nazi party in belgrade, serbia. 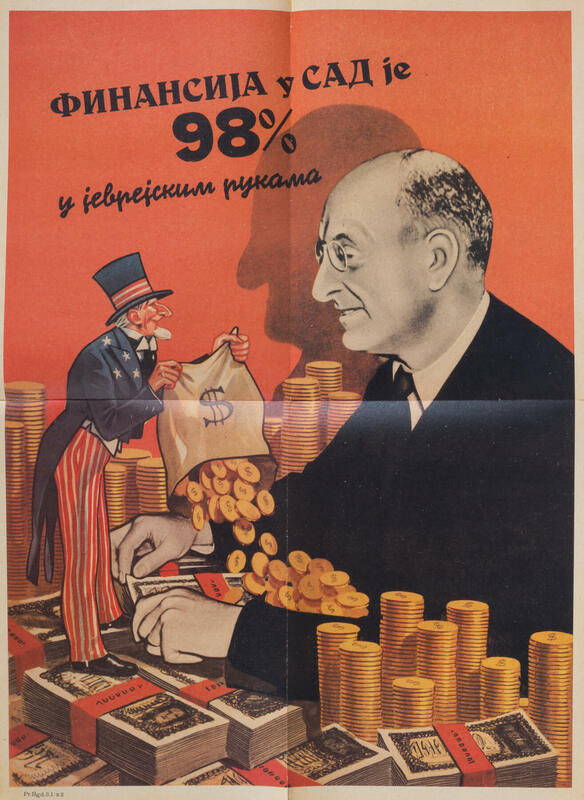 c. 1941- 1942 “finance in the usa. 98% in jewish hands”. with a picture of the secretary of the treasury henry morgenthau, jr. 22” x 16”. folds.